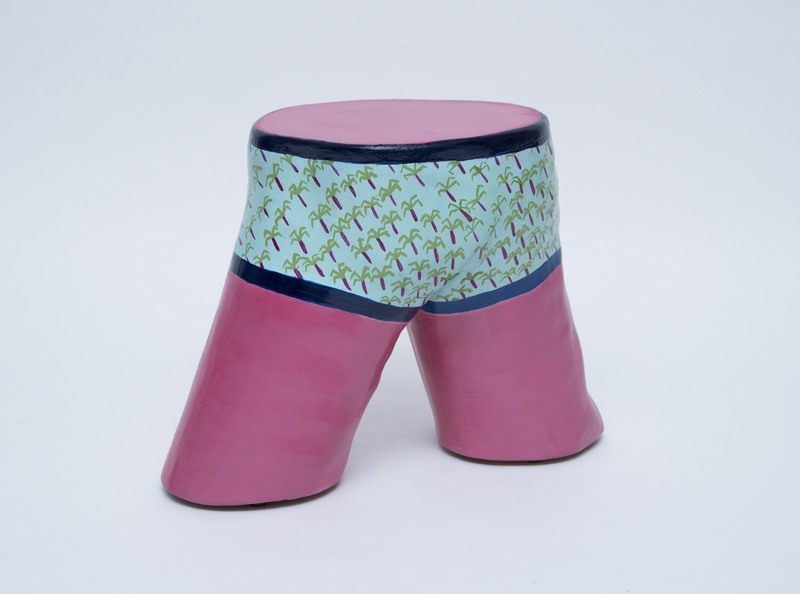 Beach Boy is a very fresh piece that is considered unidentified human gender legs, with a boy swimsuit. It is inspired by the swimsuit brand Vilebrequin, and originally has been cut from the tree with this shape. It has only been softened with sand paper and painted with acryllic. This item can be multi-functional in a way in which one can sit on it, use it as a side table, or as a home decoration. I see it more as a sculpture/home decoration but it practically functions in all other ways too. Ghassan Salameh is the Adorno curator of design destination Beirut. "Beach Boy" table/chair/sculpture by cocoexotico is carefully selected as a piece that reflects the local design scene of Beirut. As a local and recognized design expert Ghassan Salameh's curation is a quality assurance that buying from cocoexotico is a safe investment in the most important design from Beirut right now.